How do the Earth, Sun and Moon work together to create different lunar phases? Why do the phases of the moon occur? 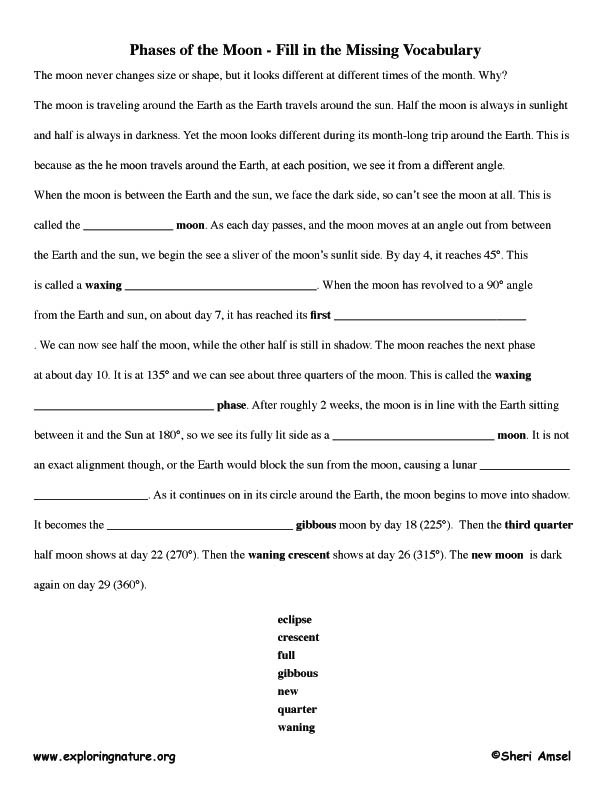 Have students draw a moon on a blank sheet of paper. Compare the shapes the students made. Ask students some questions to assess what they know. – How many shapes of the moon have you seen? – Why do you think the moon changes shape? Is there a pattern? – How often do you think the moon changes shape? – Why do you think the face of the moon is always the same if both the Earth and moon are spinning on their axis (rotating)? 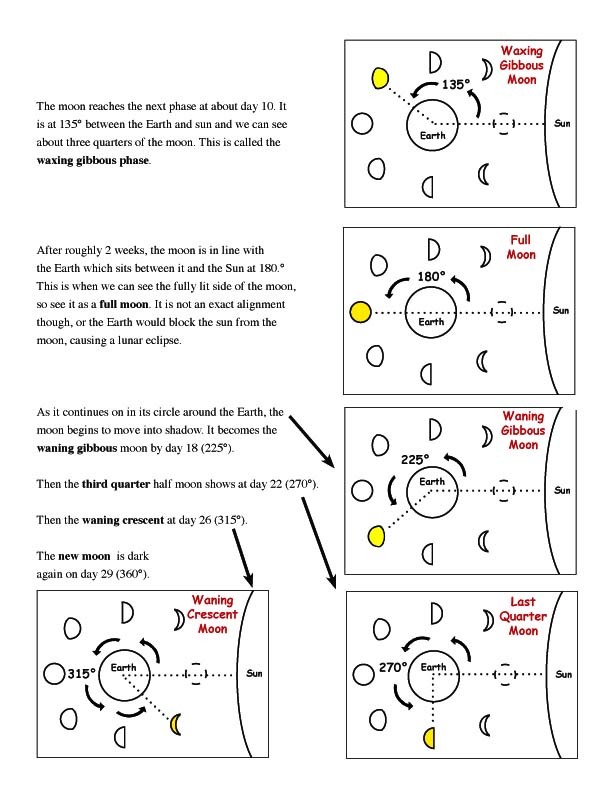 Try the Phases of the Moon - Correct Order Cut and Paste. 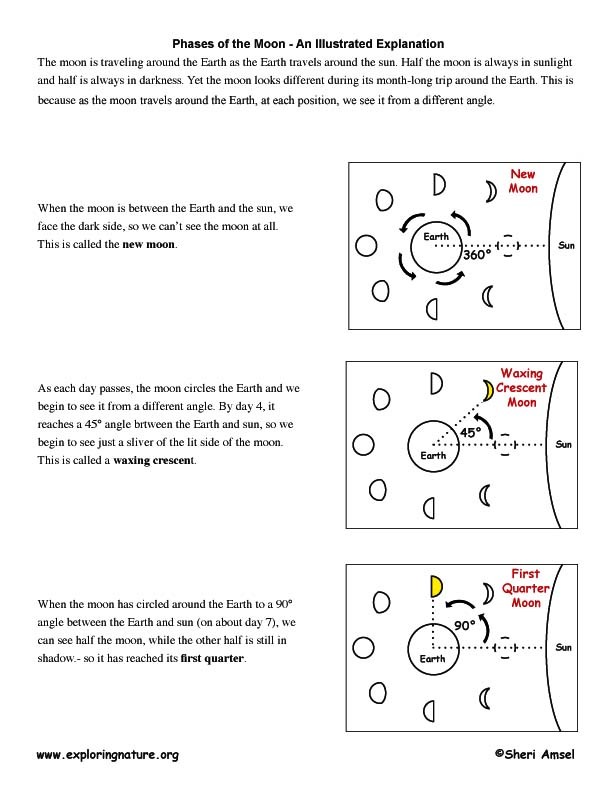 Read the Phases of the Moon - An Illustrated Explanation below. • Patterns of the apparent motion of the sun, the moon, and stars in the sky can be observed, described, predicted, and explained with models. • This model of the solar system can explain eclipses of the sun and the moon. Earth’s spin axis is fixed in direction over the short-term but tilted relative to its orbit around the sun. The seasons are a result of that tilt and are caused by the differential intensity of sunlight on different areas of Earth across the year. • Patterns can be used to identify cause-and-effect relationships. • Develop a model to describe phenomena.